If you are looking for a sleek, reliable, and efficient hybrid vehicle in the Chattanooga, TN area, you owe it to yourself to stop by Capital Toyota and explore our selection of Toyota Prius hybrid models. 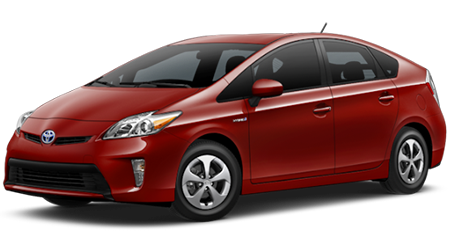 Come and see our selection of new Toyota Prius hybrids for sale in Chattanooga, TN and explore the entire lineup of new Toyota hybrid cars and SUVs as well. No matter what kind of car you currently drive, if you want great fuel economy without sacrificing a fun-to-drive nature and a slick look, the 2016 Prius won't make you compromise in the least. Shoppers from all over Cleveland, Ooltewah, Jasper, and Signal Mountain, TN come to Capital Toyota to shop our selection of new Toyota cars for sale in Chattanooga, Tennessee. We look forward to seeing you soon for your test drive in a Toyota Prius. If you want an amazing and reliable hybrid car, then put your trust in the 2016 Toyota Prius. The Prius has been around much longer than the Chevrolet Volt, and it gets all the things that drivers love about hybrid vehicles right every time. The 2016 Prius is ready to hit the road and features a lot of new changes on the outside, inside the cabin, and under the hood. Toyota updated its iconic Prius for the 2016 model year, giving it a 60-percent increase in torsional rigidity, a longer, more fluid body; a lower and a more athletic roofline that reduces the coefficient of drag (Cd) even more than the original model's design. The width of the 2016 Prius was also increased to give it a lower center of gravity and a more athletic stance and riving dynamic. The extensive exterior changes have given the hybrid more interior space and has made this already-efficient even more fuel-friendly. The 2016 Prius also features a new 1.8-liter four-cylinder gasoline engine with improved efficiency technology, a new multilink independent rear suspension, and a new and lighter electric motor and battery pack system (Prius Two Eco trim and above). The 2016 Toyota Prius and Chevrolet Volt are both classed as compact hybrid cars and are both engineered to save you money on fuel. Considering the fuel-efficient powertrains in both of these efficient hybrid cars, you will be able to use the vehicles on a regular basis and not have to worry about filling up your gas tank too much. However, if you are looking to get the most bang for your buck at the gas station and are looking to get into a vehicle that can save you money in the initial purchase, then the new Prius is one of the best options. The 2016 Toyota Prius starts at an MSRP of $24,200, while the Volt has a starting MSRP of $33,170. Right out of the gate you get a massive savings of $8,970 when you choose the 2016 Prius over the Chevy Volt. The 2016 Prius Three starts at $26,250 and features the upgraded battery pack and a host of amazing features in addition to those found in the Prius Two. You could get a full-loaded Prius Four Touring, which starts at an MSRP of $30,000, and still pay much less than you would to get the base-level Chevrolet Volt. When it comes to saving you money on fuel, nothing can match a compact hybrid. Both the Chevrolet Volt and Toyota Prius shine at saving you money on fuel and can save you a large amount of money every year in fuel costs versus fuel costs of traditional vehicle drivers. However, the 2016 Toyota Prius has a hold on the fuel economy handle that is quite a bit tighter than the Volt's. The 2016 Toyota Prius is equipped with a 1.8-liter gasoline engine that's matched to an electric motor and a new lithium-ion battery pack (in the Prius Two Eco and upper trims). The powertrain is linked up with an electronically controlled Continuously Variable Transmission (CVT), allowing the Prius to return up to 54 miles per gallon city and 50 miles per gallon highway, which is 52 miles per gallon combined. 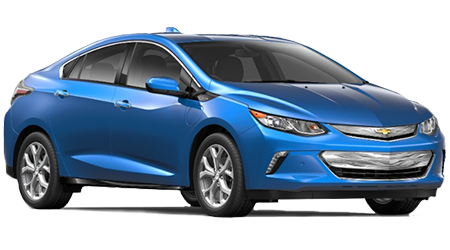 By comparison, the Chevrolet Volt's 1.5-liter inline four-cylinder gasoline engine can only return 43 miles per gallon city and 42 miles per gallon highway (42 miles per gallon combined) in coordination with its hybrid system and CVT transmission. Don't mess with the original, the 2016 Toyota Prius wins the fuel economy round and leaves the Chevy Volt in its (eco-friendly) dust once again. While the Prius is classified as a compact hybrid, Toyota packed the vehicle with a lengthy list of interior features to provide you with a comfortable ride on a routine basis. With the Prius' extensive list of interior features, you will be able to enjoy driving the compact hybrid every day. Standard and optional interior features on the 2016 Prius include a power tilting and sliding moonroof, driver's head-up display, the Entune JBL Premium Audio system, voice-recognition navigation, SofTex upholstery, an eight-way power driver's seat, auto-dimming rearview mirror, Qi wireless smartphone charging system, a 4.3-inch TFT color multi-information display for the driver, HomeLink integration, a smart key system with push-button start, Dynamic Radar Cruise Control, and more. The 2016 Toyota Prius is a much better value than the 2016 Chevrolet Volt, and thanks to the Prius' affordable price tag, you can get the features and amenities you want without sacrificing in your choice of vehicle. Come and test drive the 2016 Toyota Prius at Capital Toyota and you will be amazed at how effortless it is to get great fuel economy every day. To keep you feeling confident with every drive you take, the 2016 Prius comes backed by an extensive warranty package that the Chevy Volt can't match. During your initial years of ownership, you won't have to worry about your Prius breaking down, rusting, or falling into disrepair of any kind. The 2016 Toyota Prius is covered by a 5-year/60,000-mile drivetrain warranty and a 3-year/36,000-mile bumper-to-bumper new car warranty. Every 2016 Toyota Prius also comes with ToyotaCare, which covers you for two years or 25.000 miles for no-cost scheduled maintenance and 24-hour roadside assistance. The 2016 Chevy Volt does not offer a similar package. If you have been looking for a compact hybrid that can provide you with an extremely comfortable ride, can save you money on fuel and has all of the latest technology, then check out the 2016 Toyota Prius at our Chattanooga, TN Toyota dealership. Thanks to the Prius' fuel-efficient powertrain, more affordable price tag, amazing value, and comprehensive warranty, it proves to be the better choice than the Chevrolet Volt. Stop by Capital Toyota and explore our new Toyota hybrid inventory. We are convenient to everywhere in Signal Mountain, Ooltewah, Jasper, and Cleveland, TN. Come and see us soon!